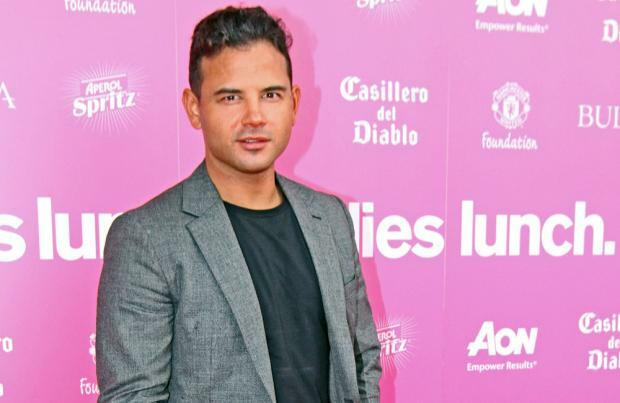 Ryan Thomas is reportedly set to star in 'Neighbours'. The 33-year-old actor, who played the role of Jason Grimshaw in ITV's longstanding soap 'Coronation Street' for 16 years, is rumoured to be jetting off across the globe to star in the Australian show. Although details of Ryan's upcoming venture have remained under wraps, it is rumoured he will portray Raphael in the programme. And there are high hopes for the dark-haired hunk's arrival in Erinsborough. Speaking about the Manchester-born star's latest project to The Mirror Online, a source said: "Ryan's news may come as a bit of a surprise but people are confident he'll make a big splash on 'Neighbours'. "He'll bring his 'Corrie' fans with him and earn a new legion of fans along the away." Although Ryan is keen to go down under and start shooting, he is currently having to wait for his working visa. The insider explained: "He is just waiting on his visa. Then he'll be moving to Australia to film the show." Since Ryan - who has eight-year-old daughter Scarlett with his former partner Tina O'Brien - left the cobbled streets of Weatherfield behind him in 2016, he has been desperate to have a "complete change" in his career and was eager to break into Hollywood because he felt he needed to be taken out of his "comfort zone". Speaking previously about his career plans, Ryan - who is currently dating former 'The Only Way Is Essex' beauty Lucy Mecklenburgh - said: "Going to Hollywood is a dream so I'm going to see what happens. We can always dream. "I wanted a complete change after leaving 'Coronation Street'. My agent's in London, my meetings are there and many of my friends, too. I'm also going to do some drama classes there. "I've only ever had one job. I need to start from the bottom and start learning my craft. I want to be tested and taken out of my comfort zone. I need to do auditions and be rejected for roles - rejection is so much part and parcel of this business, but I've never experienced it."